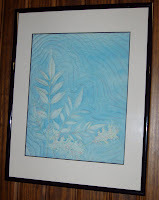 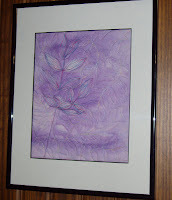 I love to do sunprinting using leaves and a little fabric paint. 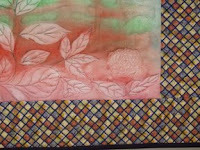 Muslin or other solid light-colored fabric is the usual background, but I tried this on an antique damask napkin and got an interesting surprise when the texture of the woven fabric showed through. 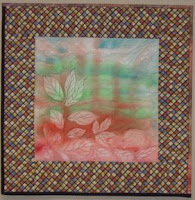 Machine quilting with rayon or polyester threads further defines the shapes of the leaves.